It appears we now have our answer: There will be no such proclamation coming from the Trump White House. 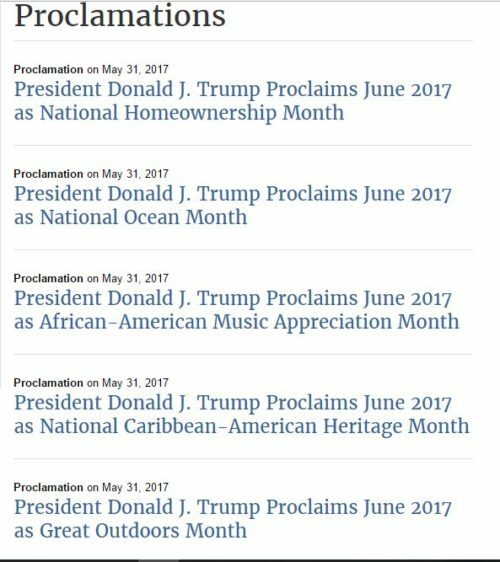 Note the irony of “National Ocean Month” and “Great Outdoors Month” proclamations the day before announcing America would be pulling out of the Paris Agreement. June proclamations, none of them for Pride Month. The first Pride Month proclamation was made by former president Bill Clinton in 1999. He followed it up with another in 2000. Former president George W. Bush did not continue the practice, but it was resurrected by former president Barack Obama, who issued one for every year of his presidency. 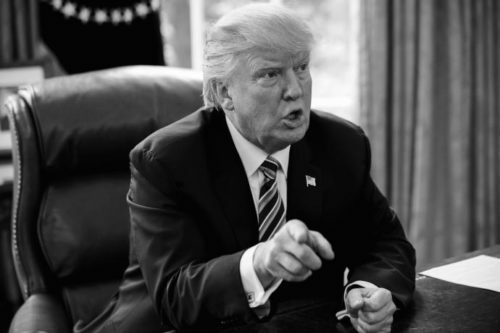 Related: Could Trump pull national monument designation from Stonewall? “I call upon the people of the United States to eliminate prejudice everywhere it exists, and to celebrate the great diversity of the American people,” Obama said in his final Pride Month proclamation. Unlike Trump, Democratic leader Nancy Pelosi did issue a statement celebrating Pride Month, and managed to get in both a shot at the president and a push for the passage of the newly reintroduced Equality Act. Trump’s unwillingness to honor the LGBTQ community during Pride Month shows that once again his promises during the campaign season to be an ally were hollow words meant to get him elected. While some in the LGBTQ community continue to stand behind him, by the looks of his sagging poll numbers, Trump is becoming less popular as the days go by as reality tests all those pretty words he spoke out on the campaign trail. Next time you see him hoist the Pride flag, remember this moment when he, yet again, showed he is no friend to our community. The Log Cabin Republicans told LGBTQ Nation it wasn’t able to comment at this time.